She'll take anything on and come out kicking! Actress, performer, and most recently presidential candidate Roseanne Barr returns to her stand-up roots. The four-time Emmy Award winning entertainer is perhaps best known as Queen of the Prime Time Sitcom Roseanne and for her outspoken, often polarising public persona. She sure does like to disturb the peace, but with such a comic flair only she can pull it off. Barr initially drew on her personal experiences as wife and mother (influencing her hit TV show) in her early stand-up routines. Now she combines this with acerbic observations of the cult of celebrity (Kardashians watch out!) and a self-deprecation that contrasts her legendary "she-devil" guise. Of course, that doesn't mean she's lost her sharp tongue. She's been through the ring and has come out stronger than ever! Sound good to you? 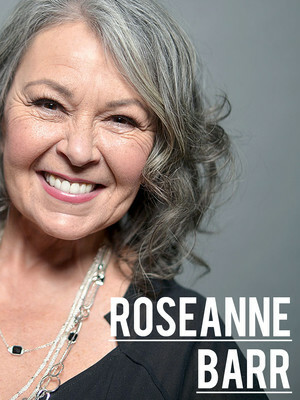 Share this page on social media and let your friends know about Roseanne Barr at Penns Peak.